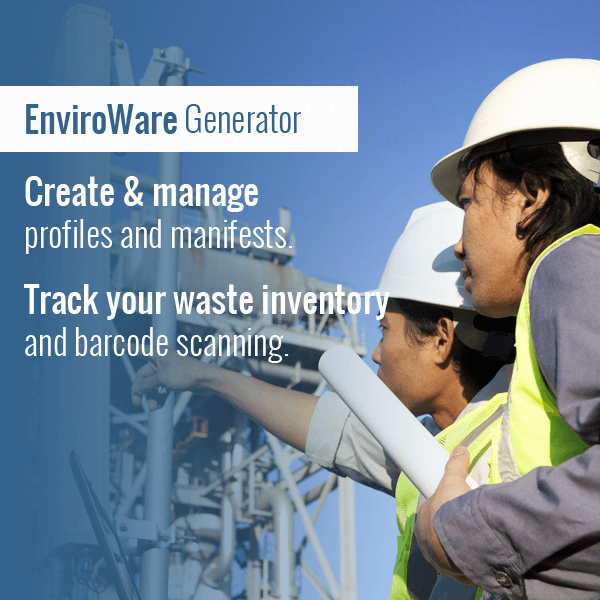 As a company with multiple facilities in various states, using EnviroWare has allowed us to accurately manage our inventories and track our wastes across a broad geographic region. We can also keep track of our customers, pricing, profiles, and organize our laboratory analyses. 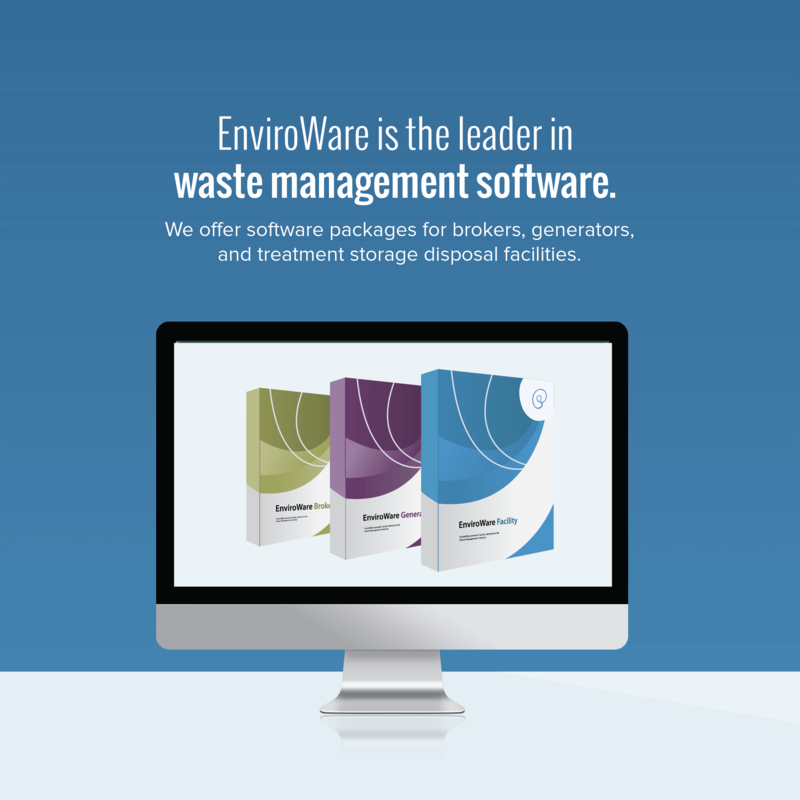 The software is highly reliable and very flexible – it can be tailored to a company’s specific needs be they simple or sophisticated. I would recommend it highly! LISA – SPIRIT SERVICES, INC. 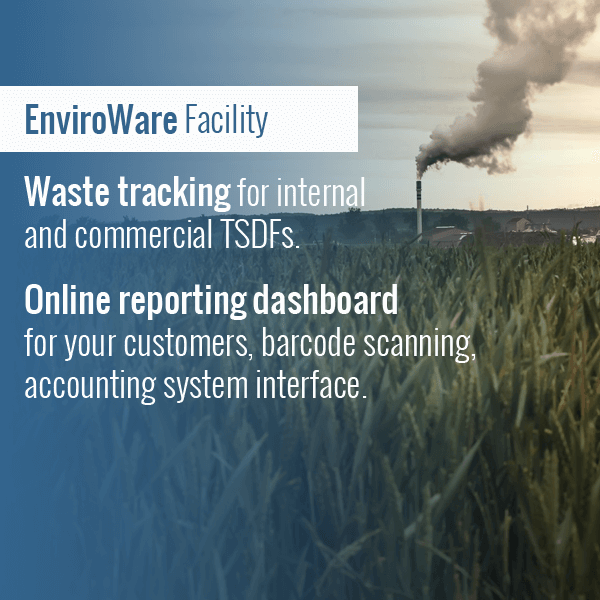 Being built for the waste industry EnviroWare understands the needs of TSDFs and helps us a lot throughout many areas (Operations, Lab, EHS, Finance, Customer Service). 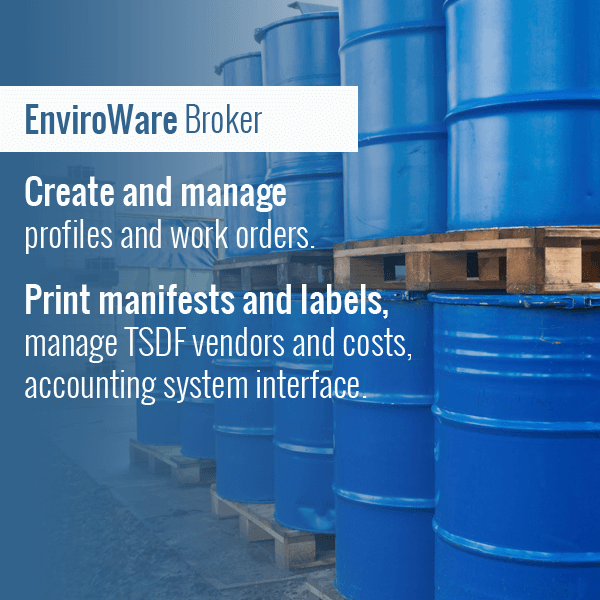 They are very flexible with their software and are able to customize fields, reports, and screens to my needs.